Locate the Snagit.exe file or download Snagit here. Some anti-virus software can block Snagit from installing. Temporarily disable your security software and try installing Snagit again. Snagit 13 requires Microsoft .NET Framework 4.6 or later. The Snagit installer automatically downloads and installs the framework. The Snagit installation fails if an error occurs during the process. To fix this issue, manually install the framework. Download and install the latest version of the Microsoft .NET Framework here. 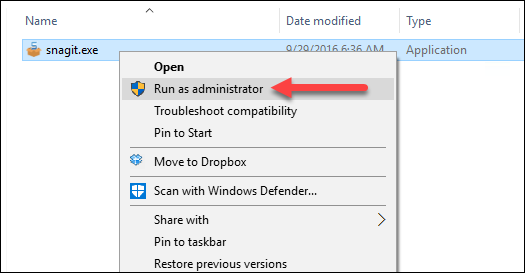 Restart your computer after installing Microsoft .NET Framework. Try to install Snagit again. If you are still unable to install Snagit, there may be a policy on the computer preventing the install. Contact your local IT team to assist you with installing Snagit. 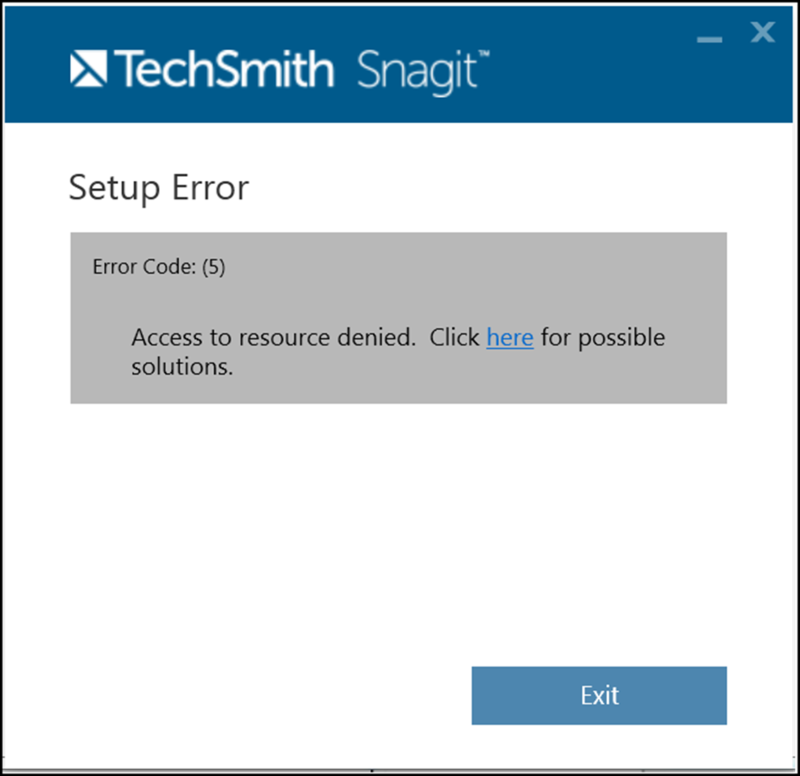 If you are still unable to install Snagit, contact our support team.